Welcome to Singapore Math——the leading math program in the world! 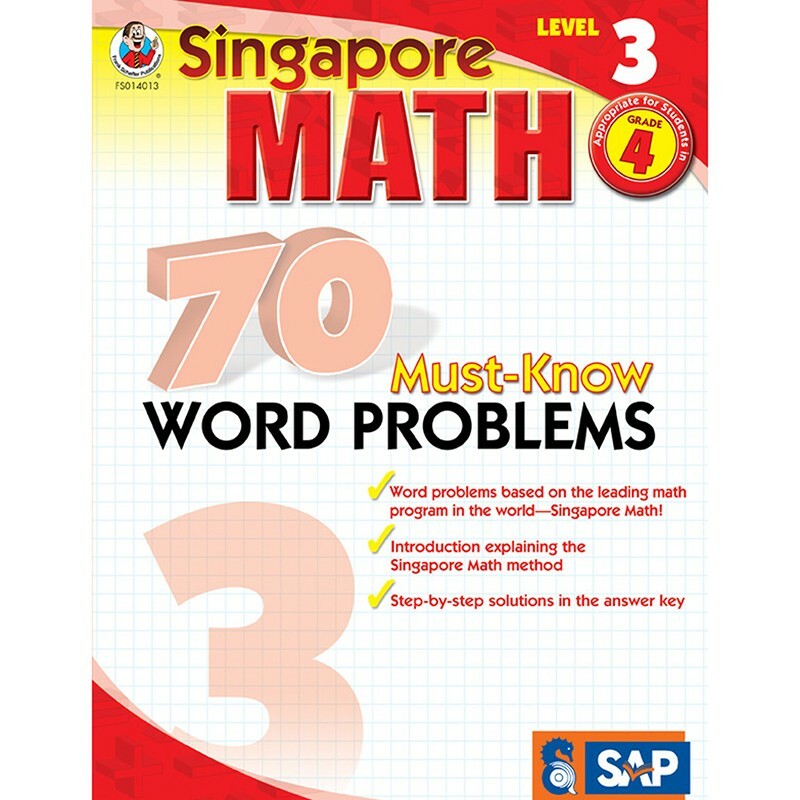 This book is designed to help fourth grade students master word problems, which are often tricky and frustrating, the Singapore Math way. The activities in this book teach students important math skills, such as diagrams, number bonds, the counting on method, and mental calculation, that help in solving word problems. The book features one problem per page so as not to overwhelm students and step-by-step worked out solutions in the answer key. Perfect for students familiar with Singapore Math and for those who just need extra practice with word problems. Included in this book: * an introduction explaining the Singapore Math method. * common word problems found on assessments. * step-by-step worked out solutions in the answer key.